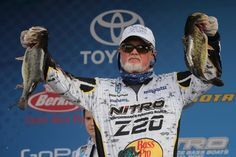 Greg Hackney started the day in third place, but weighed in 17 pounds, 15 ounces on Championship Sunday to increase his four-day total to 66-2 at the GEICO Bassmaster BASSfest at Lake Texoma. With his win, Hackney earned the $100,000 first-place prize and a berth in the 2017 GEICO Bassmaster Classic to be held in Houston, Texas. Hackney’s final limit of bass helped him slip past Brandon Card of Caryville, Tenn., by a slim margin of 1-15. Hackney, the 2014 Toyota Bassmaster Angler of the Year, knew he needed to have a solid day to contend for the win. 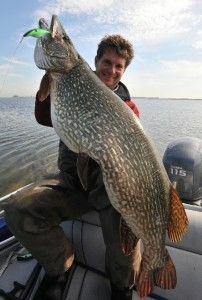 As a result, he fished his spots in reverse order because the larger fish were biting later in day. “The way the fishing had been all week, there was a good bite early in the morning, then it slowed during the middle of the day and picked up again in the afternoons,” Hackney said. “I knew I had to catch a big bag of fish today to have a shot at winning.” Hackney’s best locations were adjacent to the main river channel. He also caught a lot of fish on the inside turns of coves and the points that were created on the outside edges of those coves. Card weighed the heaviest limit of the tournament on Championship Sunday with 21-2, which bumped his total weight to 64-3 for the week. “I wasn’t on the pattern I caught my fish on this week until the final day of practice,” Card said. 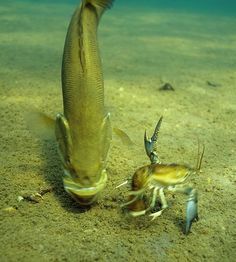 “I was actually targeting smallmouth on the lower end of the lake near the dam. 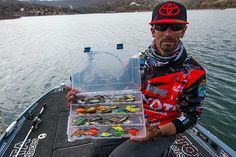 “With an hour of practice remaining, I drove up the lake and marked a bunch of great looking structure and returned to those spots during each day of the tournament. 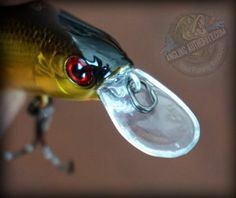 I’m sure glad I did.” Card caught his fish flipping the flooded bushes with a jig and Texas rigged soft plastic during the first three days of the tournament. With the cloudy conditions Sunday, he knew there would be a quality topwater bite throughout the day. Rounding out the Top 12 were Chad Morgenthaler (57-9), Ott DeFoe (56-11), Casey Ashley (56-8), Rick Clunn (56-3), Dean Rojas (56-2), Jordan Lee (54-10), Randall Tharp (54-2), Keith Poche (53-15) and Bradley Roy (53-4). Hackney was awarded $1,000 for the leading the Toyota Bassmaster Angler of the Year points race at the end of the event. Swindle earned the Power-Pole Captain’s Cash award of $1,000 for being the highest-placing angler who is registered and eligible and uses a client-approved product on his boat. 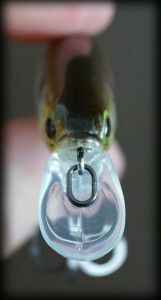 Hackney also earned the Livingston Lures Leader Award of $500 for leading on the second day. Card won the Toyota Bonus Bucks of $3,000 for being the highest-placing eligible entrant in the program. The second-highest-placing eligible entrant, Chad Morgenthaler, received $2,000. The Phoenix Boats Big Bass Award of $1,500 was presented to Randall Tharp for weighing in the overall biggest bass of the event — a 7-6 bass caught on Friday. Card also earned the A.R.E. Top Angler Award of $1,000 for being the highest placing angler using A.R.E. products.